"This project revisits a recurring theme in English architecture by proposing a contemporary interpretation of the classic bow-window. 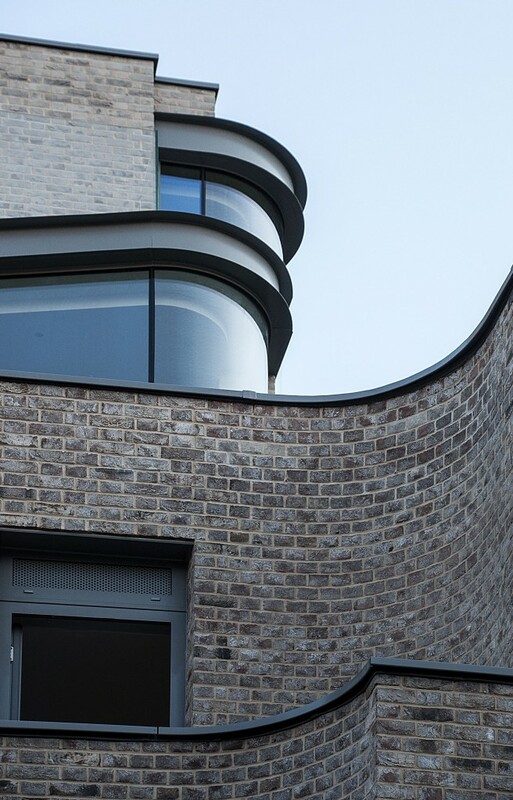 This redesign of the window element is characterised by the use of curved glass which extends elegantly from the building whilst enlarging the living space. The placing of the bow-window according to each living room permits a semi-external spacial experience. The building’s fabric is approached with a similar concept – using existing materials in a contemporary manner. This again ensures a clear differentiation between historical and new build while creating a dialogue between the two."